Mitali was born into a patriarchal society, where women suffer discrimination and inequality daily. They are often excluded from making decisions in the home and denied access to skills training and work opportunities. Born in Bangladesh is the world&apos;s most densely populated country; it is also one of the poorest. Almost half the population live on less than US$1.25 a day. 87% of Bangladeshi married women have been physically or sexually abused by their husbands. It also has one of the highest child marriage rates in the world – 66% of women aged 20-24 are married before the age of 18. Your support can change this for young women like Mitali. With the help of Y Care International&apos;s business management and gender activist training, young women like Mitali are taking their futures into their own hands. Mitali is now a peer educator. She is trained on sexual reproductive health, child marriage and violence against women so that she can educate and protect other community members. She is also able to provide counselling and support for survivors of gender-based violence. Attitudes have started to change, but initially she encountered a lot of resistance from the local community, who told her young girls shouldn&apos;t be talking about such issues and should be married before they are 18. You can help us to change these attitudes. 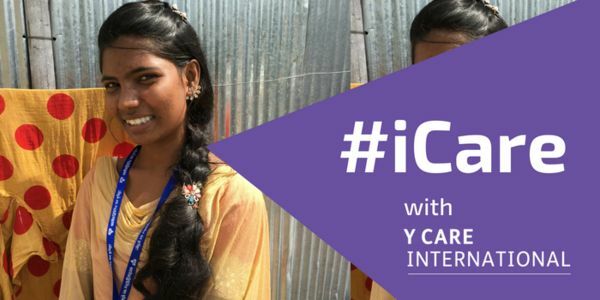 By signing this petition, you are saying #iCare about gender inequality around the world and support the work of Y Care International. Together we can raise awareness about female poverty and ensure that every young woman gets the skills, education and training they need to learn, grow and reach their full potential. Add your voice and say #iCare about making sure that girls like Mitali are not left behind.